A parlimentary survey published in 1777 records the operation of a workhouse at King's Somborne able to house up to 35 paupers. Hampshire: Ashley, Bossington, Broughton (2), Buckholt, East Tytherley, Frenchmore [Frenchmoor], Houghton, King's Somborne (2), Leckford, Little Somborne, Longstock, Nether Wallop (2), Over Wallop, Stockbridge (2), West Tytherley. Later Additions: Crown Farm (from 1858), Upper Eldon. The population falling within the Union at the 1831 census had been 6,552 with parishes ranging in size from Frenchmoor (population 43) to King's Somborne (1,046). The average annual poor-rate expenditure for the period 1832-35 had been £5,542 or 16s.11d. per head of the population. A Stockbridge Union workhouse was erected in 1836-7 to a design by Mr Hopgood. The Poor Law Commissioners authorised an expenditure of £2,626 on construction of the building which was to accommodate 200 inmates. The building appears to have had a rectangular main block with pairs of smaller buildings to the front and rear. An infirmary, probably the T-shaped block at the north-east of main block, was erected in 1896 at a cost of around £600. The site location and layout are shown on the 1910 OS map below. By 1943, the former workhouse appears to have been known as the Great House and accommodated chronic sick patients. 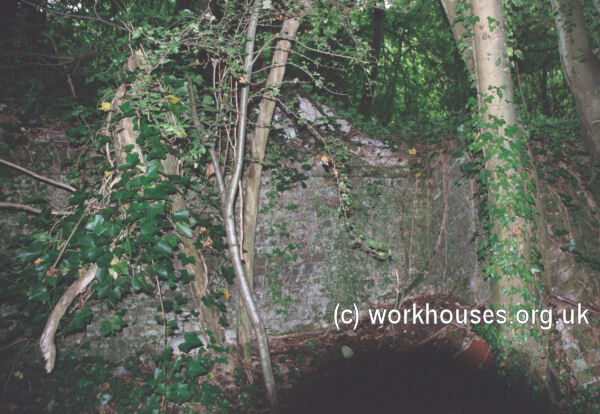 The building has been completely demolished and the site is now overgrown woodland. A few traces of brickwork can just be discerned. 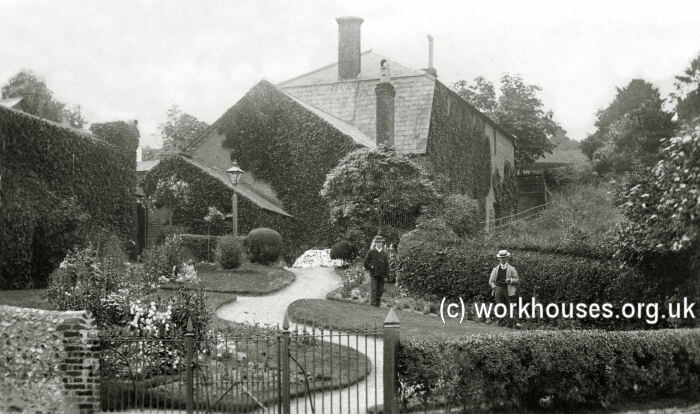 Stockbridge workhouse from the north-west, early 1900s. Stockbridge workhouse (detail) from the north-west, early 1900s. 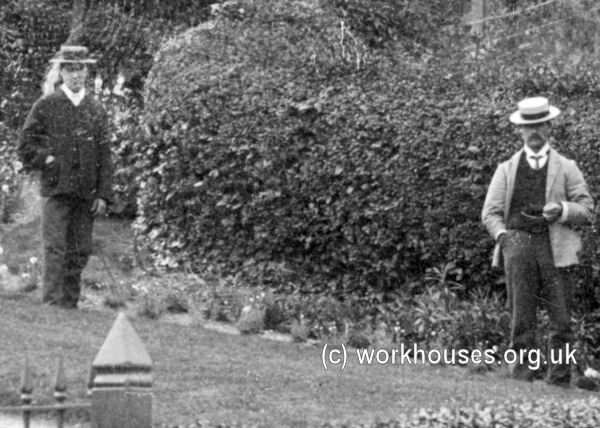 In 1925, five-year old William Golding was briefly a resident of the Stockbridge workhouse, followed by ten years at the Southampton union's Hollybrook children's homes at Shirley Warren. His recollections of life at the workhouse and the homes can be heard in a series of recorded audio clips. Hampshire Record Office, Sussex Street, Winchester SO23 8TH. Very few records survive — holdings include Guardians' minute books (1835-1922, with gaps); Deaths register (1914-39); etc.